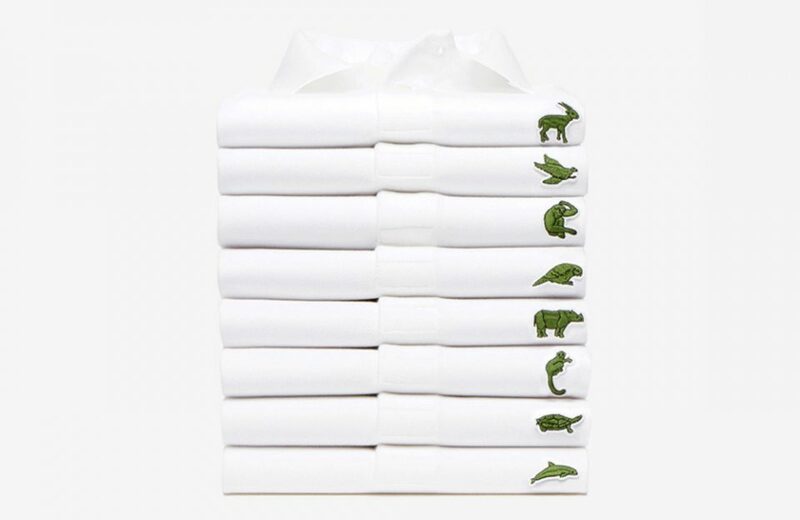 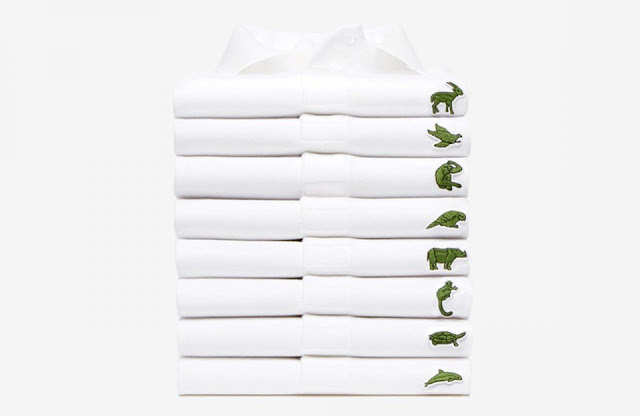 One of the most recognizable brand marks in the world — the curled alligator on Lacoste shirts — stepped out of the spotlight temporarily to make way for a series of endangered species, helping to raise awareness and fund their protection. The French label selected the following animals, representing an array of kingdoms from around the globe: the Vaquita dolphin, Burmese roofed turtle, Northern sportive lemur, Javan rhino, Cao vit gibbon, Kakapo parrot, California condor, Saola, Sumatran tiger and Anegada ground iguana. For each shirt, the number offered corresponded with the number of each species remaining the world This consequently limited series of white polo shirts was an immediate hit, and sold out quickly. 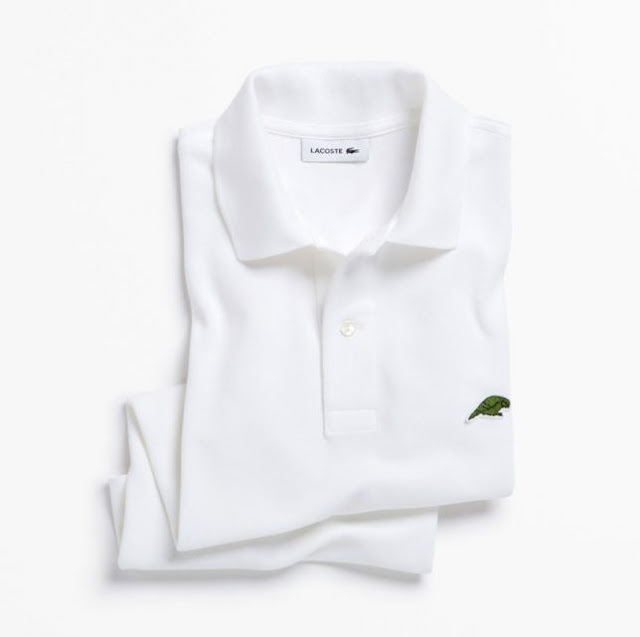 The special line was created in conjunction with the International Union for Conservation of Nature (IUCN), and its save our species (SOS) partnership. 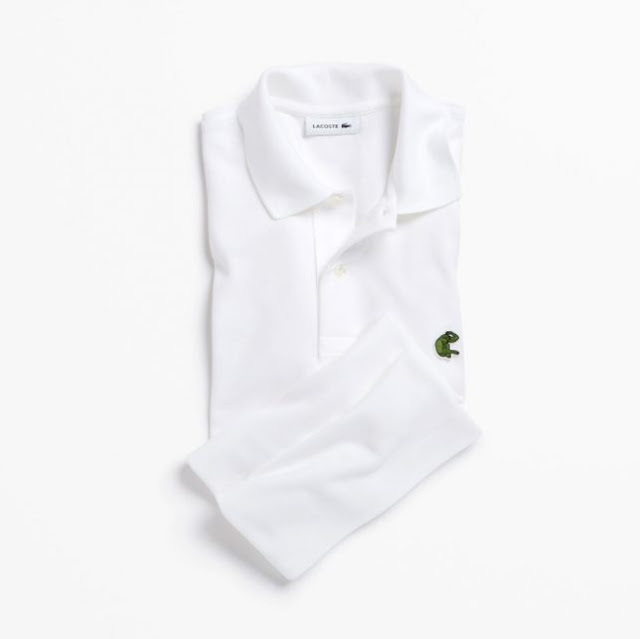 Retail prices were set at $185 and with each purchase, a contribution helps IUCN and Lacoste battle for nature conservation all over the world. 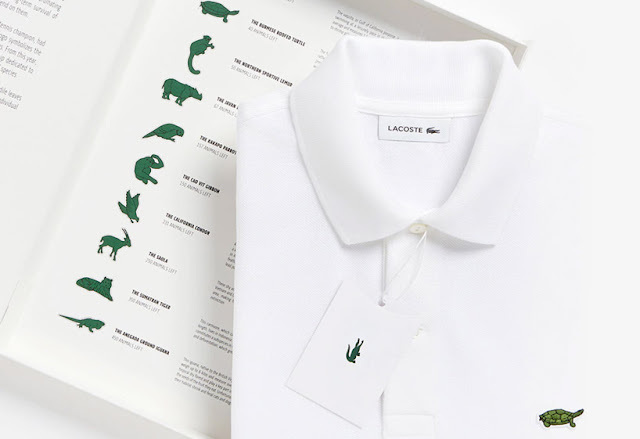 The redesigned icons, meanwhile, are both familiar yet surprising, using similar scale, art and color strategies to the original, but simultaneously standing out — a good conversation starter for wearers concerned about the extinction crisis. 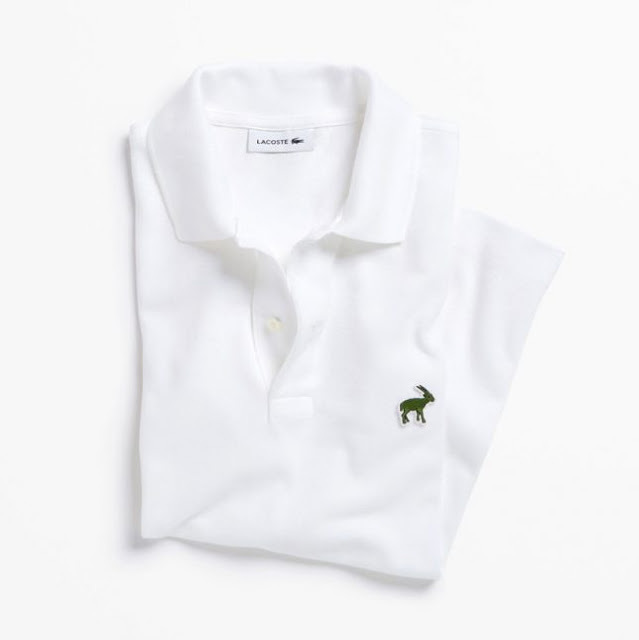 Given the success of this endeavor, perhaps they will run additional such mini-series for other species, further raising awareness as well as money for pressing preservation causes.